Last year, we had a Dr. Seuss-themed Teacher Appreciation week at our school. Besides the obvious green eggs and ham, I needed to think of some theme appropriate food for our big teacher luncheon. Two of our little friends dressed up as Thing 1 and Thing 2 for the school assembly, and they were so stinkin’ cute I had to turn them into cupcakes. 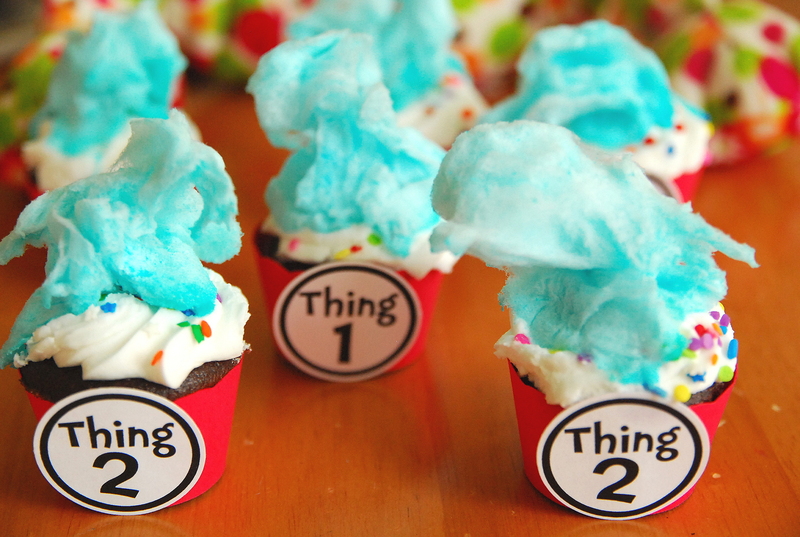 I found the Thing 1 Thing 2 labels from this adorable store and the blue cotton candy from our local Sam’s Club. This isn’t really a recipe (ahem, I may or may not have bought the cupcakes from the store), but a how-to-replicate kind of thing. Honestly, I assembled these in less than 20 minutes. And they were a total hit. I was so mad I couldn’t even take a picture. But I totally should have. I didn’t post these because I just wanted to forget the whole thing, but now that I’ve had some space 🙂 I think I can do it. 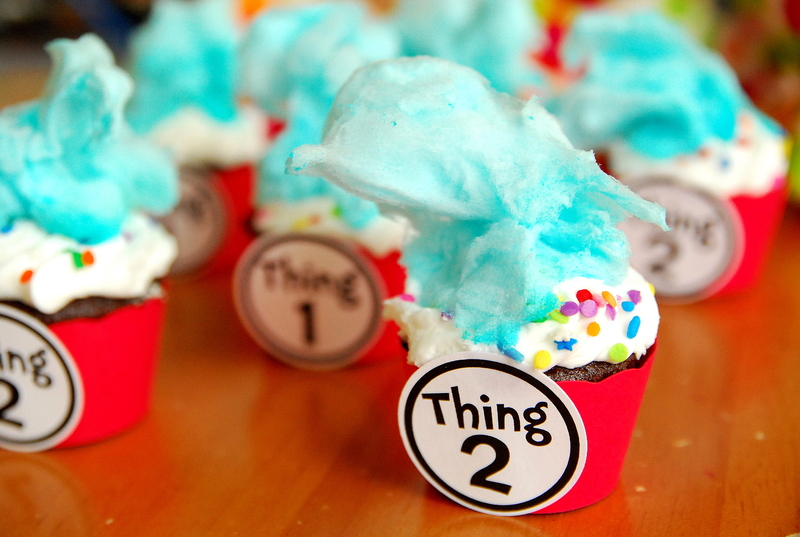 Wrap cupcakes with Thing 1 Thing 2 labels and secure. Pinch off a small amount of cotton candy and gently attach to frosting. Fray top of cotton candy with your hands. Repeat on all cupcakes.